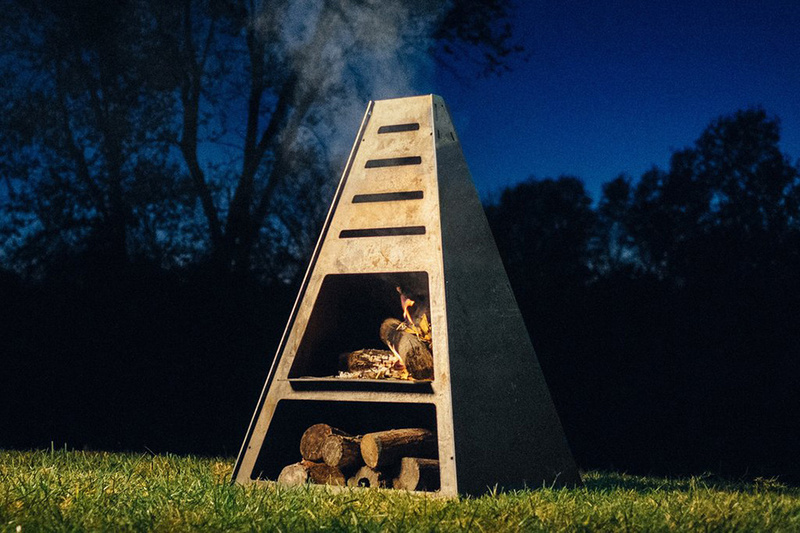 You don't realize how vital a centerpiece for your backyard is until you see and learn about the Pyro Tower. It's built in the shape of a teepee using precision cut, heavy-duty American steel that is over three times thicker than most alternatives, ensuring it will stand up to wind, hail, and whatever each season has to throw at it. It also doubles as a charcoal grill or smoker with enough room for a bunch of burgers or a big slab of ribs. It's heavy, but is a cinch to assemble and can collapse into five separate sections. But chances are, you'll set it up, use it frequently, and not even think about moving it for years. Having a heated blanket on hand during a camping trip is a secret weapon that everyone should consider. But in the past 50 years, not much has changed with heated blankets, until now. With Power Practical's battery developments, Ravean's heating technology innovations, and Rumpl's technical blanket designs combined their tech savvy to create the Rumpl Puffe Heated Blanket. It combines comfort, convenience, and technology to form the world's most advanced heated blanket. Choose from sustainably sourced Natural Down fill or Synthetic fill, both of which keep the Rumpl Puffe lightweight and easy to pack. It's also water resistant, warms up instantly to the temperature of your choice, and is a power source that can charge your devices after a full day of adventure. It can also be used as a lantern or flashlight with three different lighting modes. Available in black with two trims options, Moss Green and Charcoal Grey. Light your entire campsite with the push of a single button thanks to the Coleman Northern Nova Lantern. 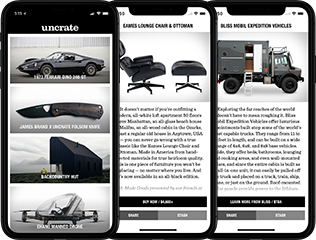 It has a ruggedized design that includes guards to protect the glass globe, chunky metal legs that provide secure footing, and a chain handle for hanging. But it's the dual mantles that provide the real strength, casting up to 3,000 lumens of brightness at distances of over 100 feet away. The push-button ignition system and precise brightness control let you set it to the appropriate brightness instantly, and proven airflow technology lets it perform even in extreme conditions. Two essential campout and tailgating elements merge into one with the Alpine Ice In-Cooler Speaker System. Enjoy music anywhere using the Aux-in jack or connect wirelessly to the 90W x 2 amplifier, which provides plenty of power to fill your space with music. Just plug it into your vehicle's 12-volt auxiliary power outlet via a 16-foot cable. And it doubles as a 56 quart Grizzly cooler — enough space to store up to 72 12-oz. cans. And when the party dies down, the Alpine components are water-resistant for easy cleanup. You don't need an enormous craft to have fun on the water. The Mastercraft XT20 Powerboat is proof. Measuring a garage-friendly 20 feet in length, it's powered by your choice of three GM-sourced Ilmor V8 engines, which give it plenty of power, while the DockStar Handling System makes it easy to maneuver in tight spaces. A spacious wraparound lounge and open pickle fork bow give it plenty of seating, 1,700 pounds of optional in-floor ballast let it adapt to a variety of tasks, and the Murphy touchscreen lets you control every aspect of the boat from the comfort of the captain's chair. Packing a big zoom range into a pocketable body, this optic provides an up-close view of whatever you're looking at, whether it's a rare bird, playing field, or stakeout subject. It's adjustable from 10X to 30X, with multi-coating and BaK-4 prism glass for sharpness. Tripod compatible, its aluminum body is lightweight and can be worn on a lanyard or carried in the included case. Length: 4.2" / Diameter: 1.4" / Weight: 3.2 oz. With sleek looks and a nearly smokeless design, the Solo Stove Bonfire is an ideal way to heat up on chilly nights. The double-walled design has holes in the bottom to let oxygen feed the fire from below, while warmer oxygen is channeled up through the walls and into the fire through holes at the top, causing secondary combustion that results in very little smoke and a more complete burn. It's made from high-grade 304 stainless steel that undergoes a multi-step finishing and polishing process, so it's both durable and stylish, and at roughly 20 inches across and 14 inches tall, it's highly portable yet big enough to warm your whole party.